Choosing to lease an Acura TLX is one of the best decisions you could make to improve your daily drives around Tustin and Montclair! The benefits of leasing include lower monthly payments as well as lower repair costs, and when you take advantage of our Anaheim Acura TLX lease specials, you can save big on the Integrated Dynamics System, the AcuraWatch package, and other next-generation technology features. 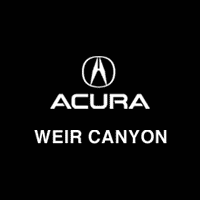 Why Lease an Acura TLX with Weir Canyon Acura? Our team members want nothing more than to see you behind the wheel of a car that you’ll truly love! We’ll help you go through all of your options when you pay us a visit, and you can even calculate your car lease payment online to compare offers. Don’t wait to get started! When you’re ready to upgrade once more, starting a new adventure is as simple as one, two, three. Simply stop into our accessible Orange County Acura lease return center, pick out your new ride, and drive home to Costa Mesa or Montclair! Not seeing the deal that you’re looking for? Check out our other Acura lease specials to find the model that’s right for you.